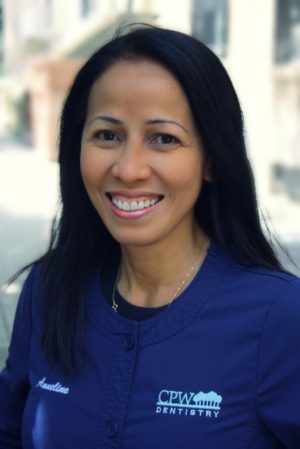 Registered Dental Hygienist – Anneline studied hygiene at Hostos Community College, and she has 11 years of experience as a hygienist. She especially enjoys working with elderly people. Anneline is a perfectionist who will go above and beyond for her patients at every visit. Outside of hygiene she enjoys traveling, biking, and volunteering. Fun fact: she has five siblings whose first names also start with A.